The Shape of Water won best picture and also lead the number of Oscars won with four. 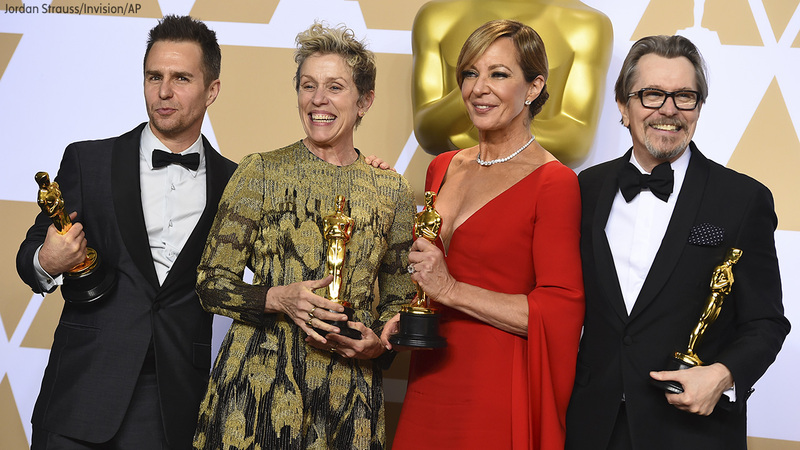 Frances McDormand won for best actress, and Gary Oldman took home the Oscar for best actor. Denzel Washington, Roman J. Israel Esq. The Walt Disney Company is the parent company of ABC and this station.